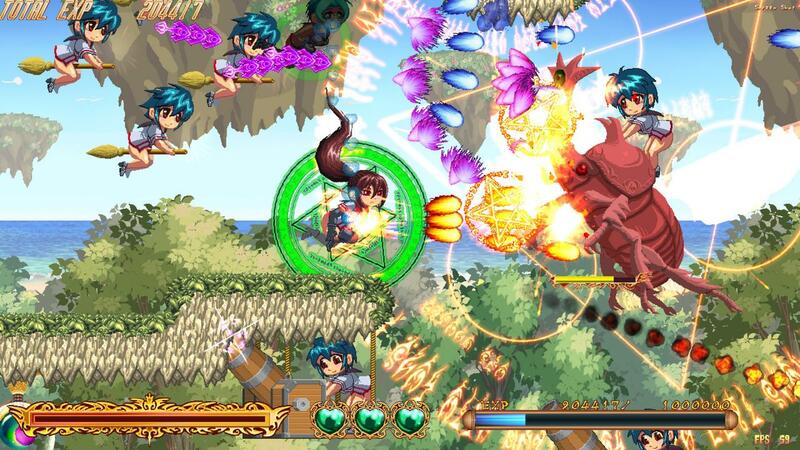 A side scrolling shooting game where you blast away foes while simultaneously swapping between two distinct characters. 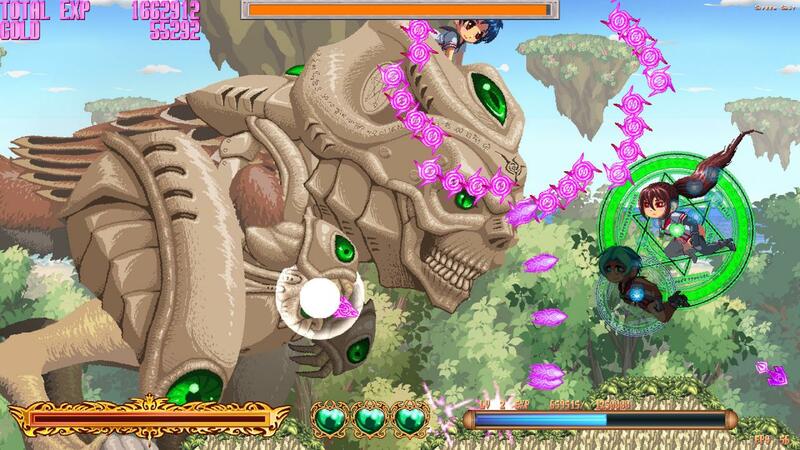 Damaging enemies will build an “alchemy aura” around your character which transforms enemy projectiles into gems. Collect these gems to build a magic gauge that will allow you to unleash “Friendship magic”, an extravagant performance and powerful beam that obliterates surrounding enemy missiles and ships in mere seconds. 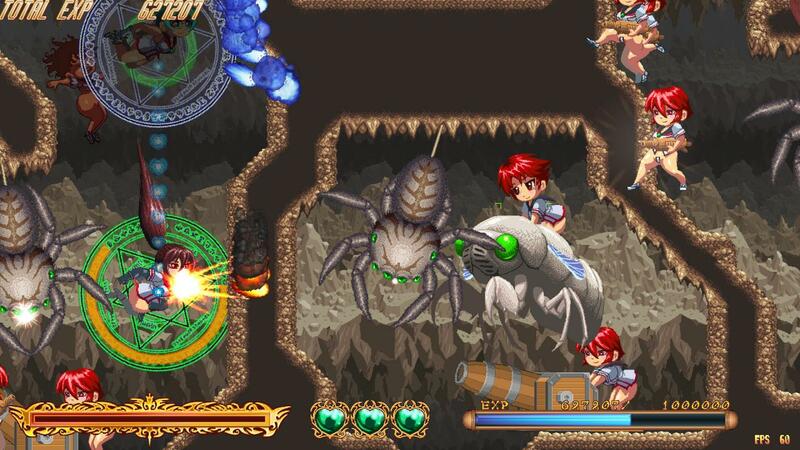 Aggressively plunge into barrages of enemy fire, and blast away defeating enemies with exceptionally satisfying force! Level up quickly by achieving high scoring combos, then enhance your characters with unlockable power up items from the in-game store. A great mechanic for everyone from beginners to pros. 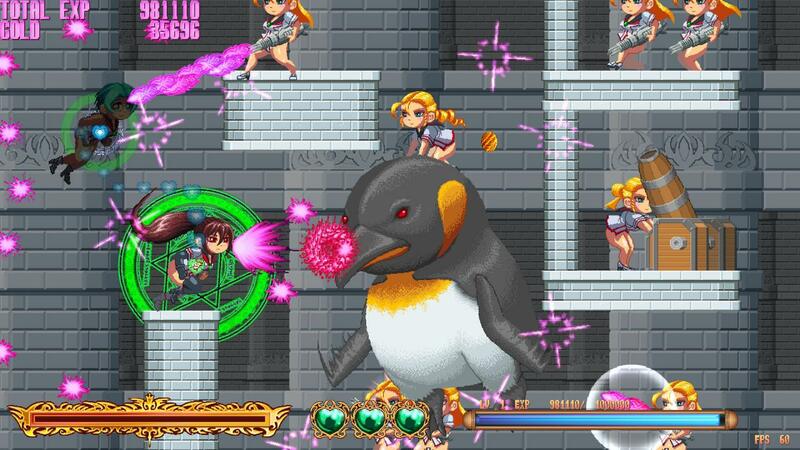 Fierce battles between loin cloth clad girls! 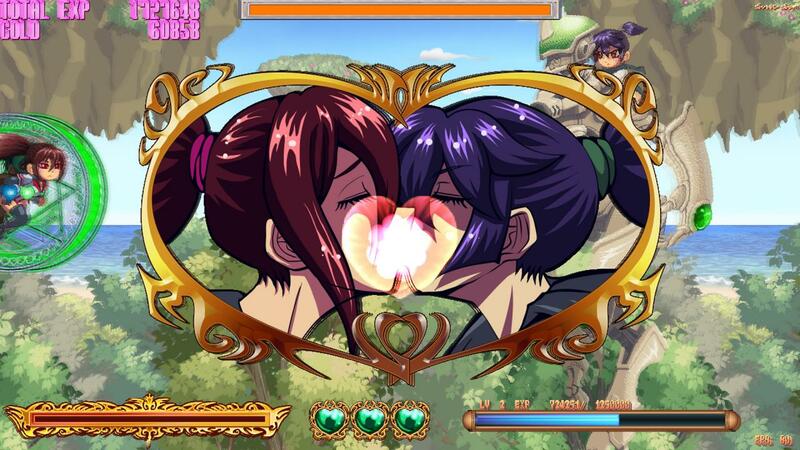 The one and only maebari themed Yuri side scrolling shooting game is finally here! *What is a “maebari” you ask? A maebari is a garment of advanced design and function meant to be affixed to the lower half of the body.However, since they are prone to “accidents” one must always maintain the upmost grace and poise while wearing one. Wear them carefully, and you will be well on your way to becoming a fully-fledged young maiden of the academy state! Item purchasing and experience point system that enables even beginner players to clear stages through building their strength and leveling up over time.